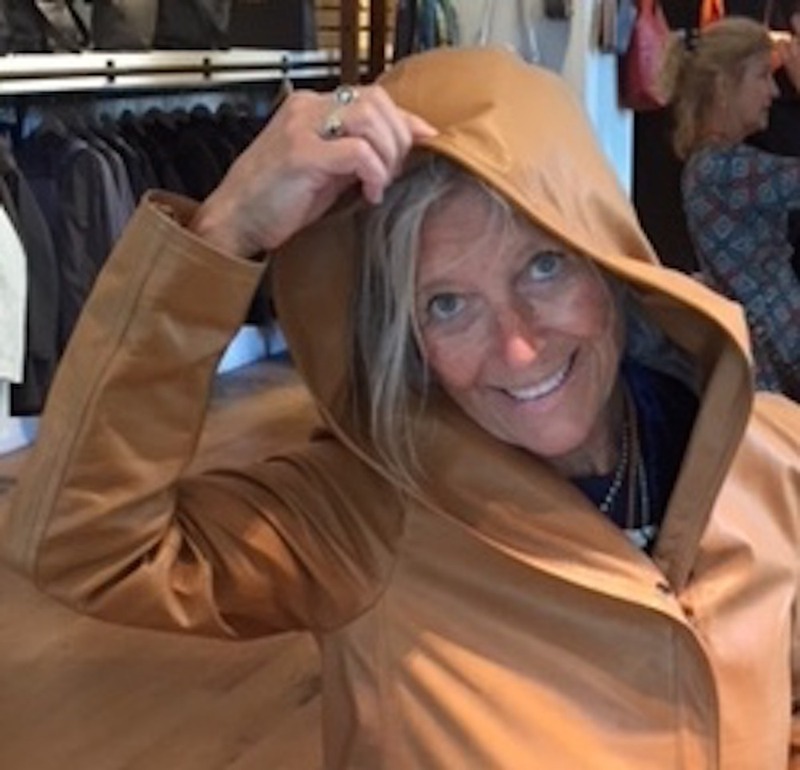 Fundraiser by Sean Hunter Williams : "Life is short, art is long"
For the last 38 years Barb Austin-Hutchins has been teaching art at Montpelier High School. This year, after her long career dedicated to nurturing creativity in thousands of young minds, she will be graduating with the class of 2018. Barb contacted me this spring to lead a collaborative effort to create a work of public art that exemplifies the phrase, "life is short, art is long". As a Montpelier High School alumni, and someone who took art all through high school with Barb, I couldn't have been happier to offer my skills to a project with a sentiment that is central to my artistic practice of stone carving. 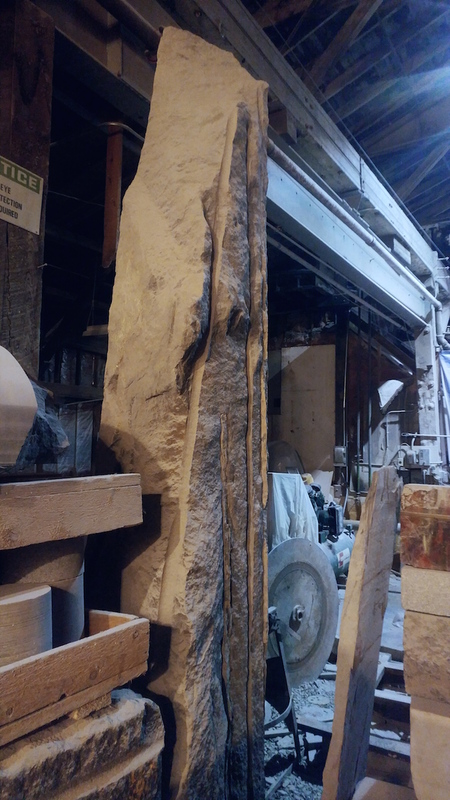 We began brainstorming with a modest budget in mind, but after visiting me at Barre Sculpture Studios to see what existing stone inventory was available, we quickly found this could also be used as an opportunity to create something greater. 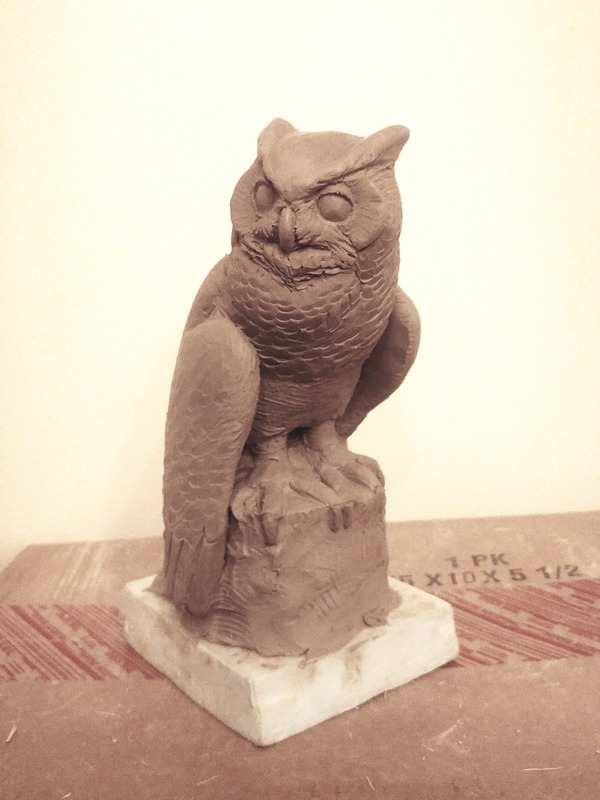 We propose to create a monolithic sculpture featuring a classical carving of the great horned owl, known at MHS as the beloved school mascot, the Solon! The Solon would be perched high above the ground, looking out into the distance, emerging from a unique quarry remnant that stands 10 ft tall with two sawn faces and two rough split faces. 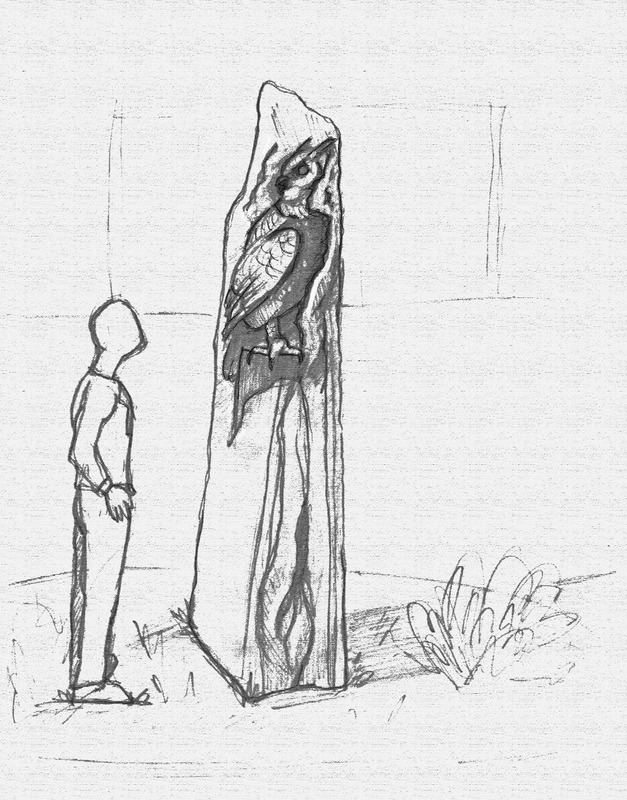 The sculpture will be installed in the middle of the roundabout in front of MHS, with the owl carved into the split face of the monolith, facing outward. In a world that is always changing, students, future artists, and faculty will be greeted by an artwork that grounds them in the significance of coming to school each day. The location fits in with planned improvements by the grounds department for the roundabout, and is approved by the school, but we need your support to complete the project! The sculpture will be carved in granite, one of nature's most durable materials for outdoor sculpture, which needs little to no maintenance. The entire process is expected to take 2-3 months, and be ready for installation in the fall. 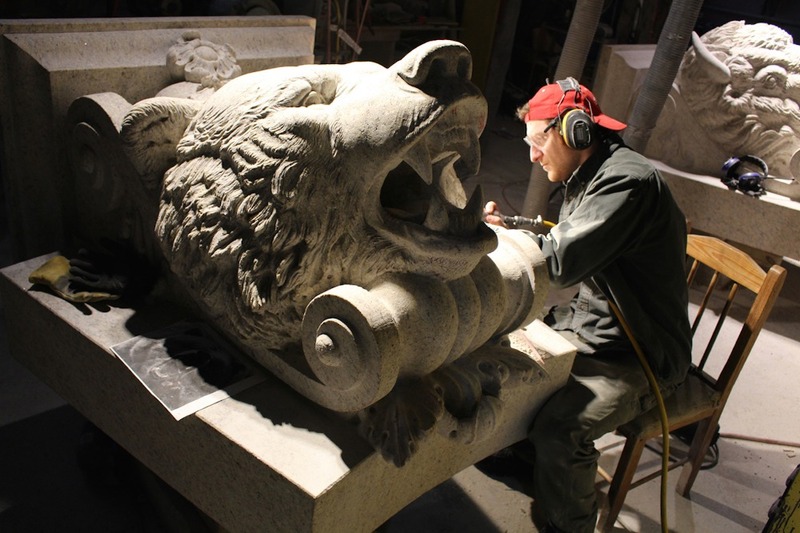 Perhaps the best thing about this project is the chance to educate students who are interested in pursuing a career in the arts, and learning more about the craft of stone carving that is unique to central Vermont's history. Interested students can drop in to any point of the process to learn more about model making and mold making, stone carving, and public art. This page will also act as a resource for anyone interested in the aforementioned areas of sculpture, and process photos will be made available here over the duration of the project. We would appreciate your input on some details! What should the owl be perched on? Books? A laptop? Branches? What symbols for education would you choose? Is there anything else of importance you think should be represented? Currently I am working on the 1/4 scale model which will be on display at the MHS art show on May 23rd, so come by and check it out! I am so thankful for my time at Montpelier High School, and for Barb's enthusiasm and love for art which gave me the space to develop as a teenager, and later apply for art school. This sculpture will be dedicated to her, and all her years of hard work fostering creativity at MHS. If you ever had Barb as a teacher, or would like to contribute to a long lasting work of public art, please support this project however you can. Like, share, give! Life is short, art is long! It's been a busy several weeks here at the studio! Firstly, I'd like to congratulate my dad for winning the commission to replace the Ceres statue on top of the Vermont State House in Montpelier! 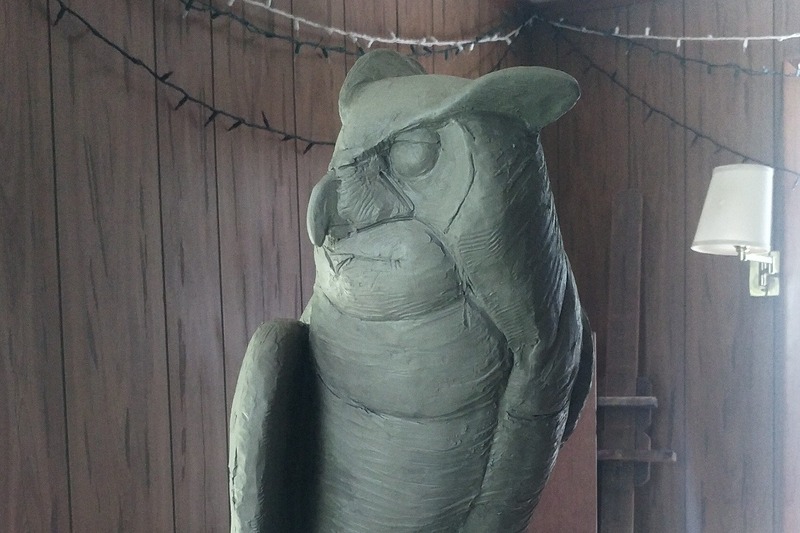 When I first started this owl project, I didn't know whether or not my dad won the commission, and when he did, he needed extra help at the shop, so I've been juggling the Ceres project and helping manage the shop, while creating the owl clay model. Below are a couple progress photos of the clay. I've got the basic forms where I want them, and next I will be adding all of the feather detail! I set up a home studio, which has been great, but I was hoping to be a little further along by now than I am. Once I have done more work on the feathers I will have more photos! 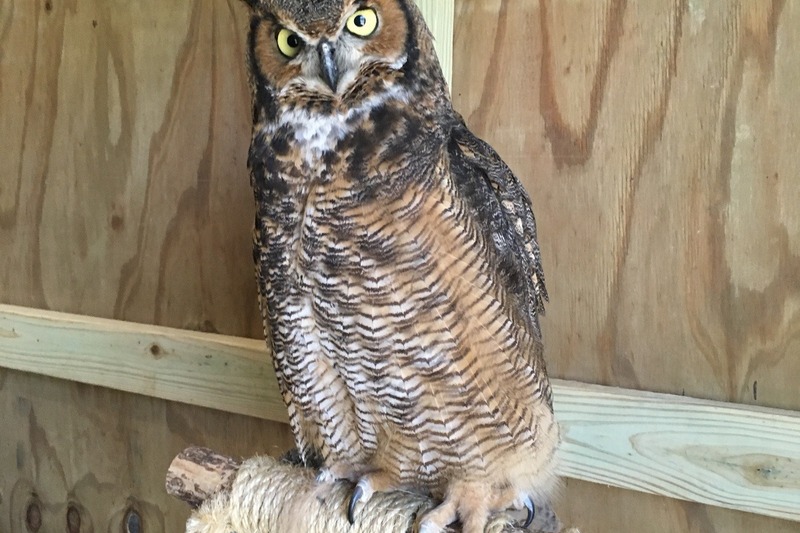 I had an amazing time at VINS in Quechee on Sunday looking at real live great horned owls! 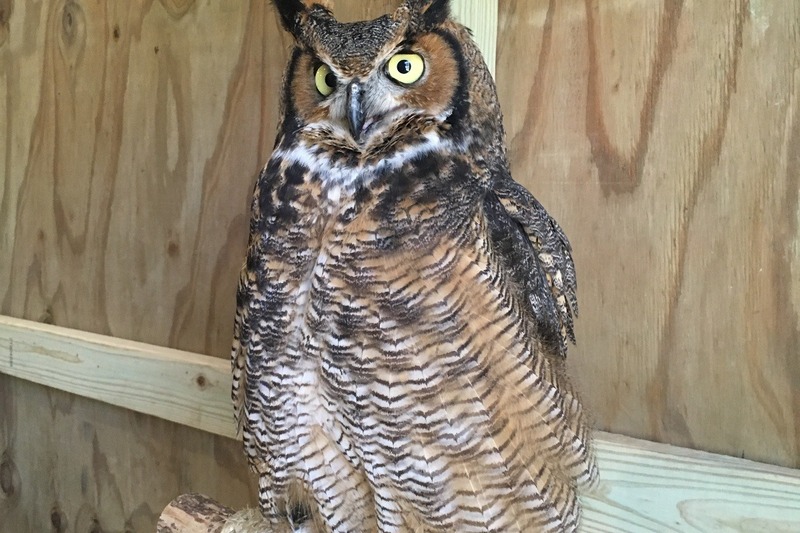 The staff was kind enough to introduce me to this owl, Nassau, who is not yet integrated into the rest of the sanctuary. I was also very fond of Miami, the screech owl -- who looks like a miniature (and stressed out) great horned owl! I would highly recommend that you visit the VINS raptor center in Quechee if you haven't already to learn more about these amazing birds. Hopefully I can also get some anatomical references on loan from VINS, but these photos and observing the owls from life will improve the final sculpture! 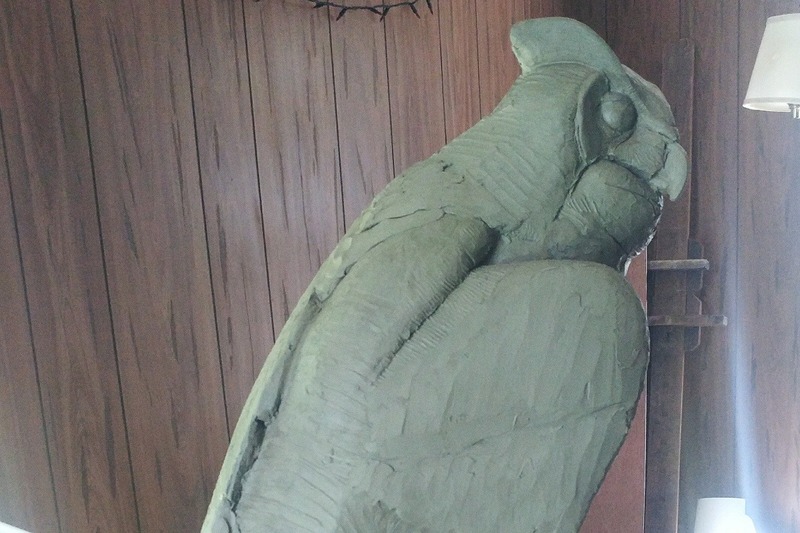 The next step is getting started on the larger than life-sized clay model! We're off to a great start! After a couple weeks we are over 20% funded! There was some local news coverage, and I brought the scale models I've been working on to the annual art show last week at MHS. I've received a lot of great feedback, but there is still a long way to go! This update is to show you all the 1/4 scale model I've been working on. I started with a sketch (which can be seen on the page) and from there I've been building a scale model to figure out the pose, and get a feel for the form and anatomy of the great horned owl. 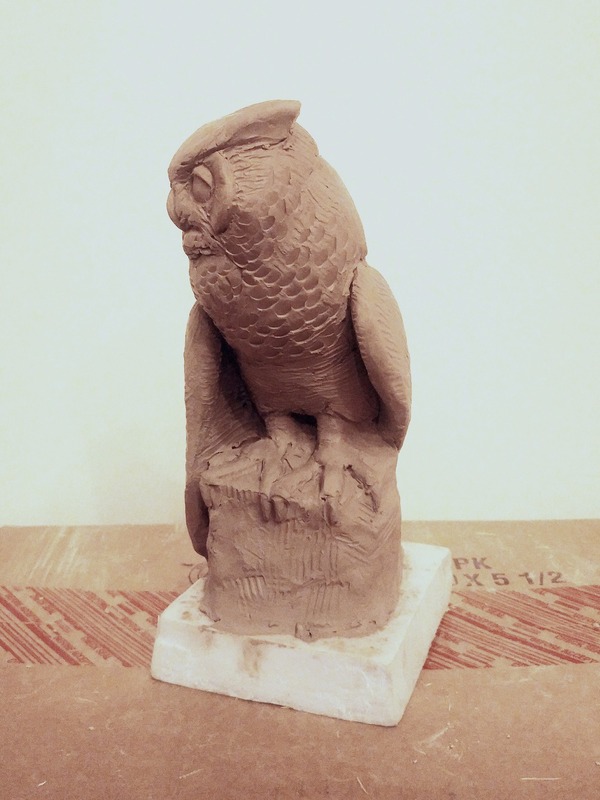 Next I will be looking at how the owl will fit into the stone fragment, and how it will be oriented in the final carving. 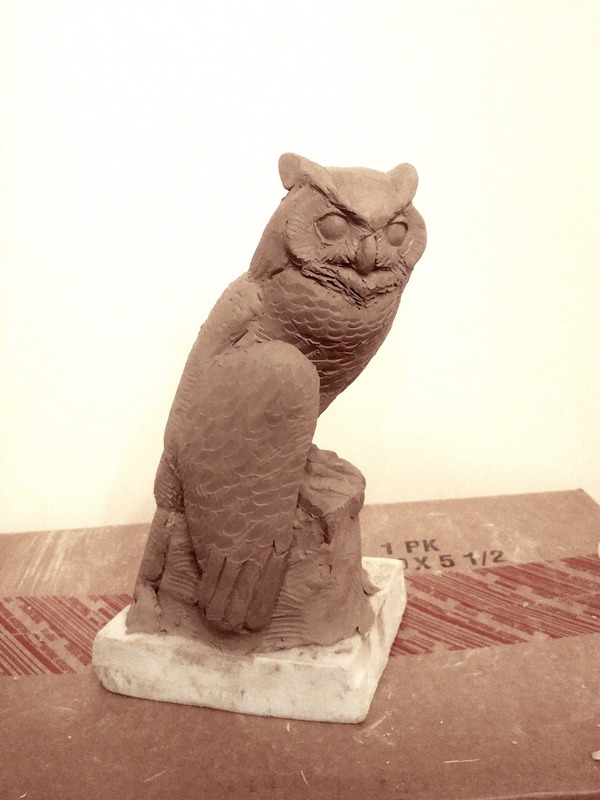 To further refine what I have started in the 1/4 scale, I will begin work on a full sized owl clay model. 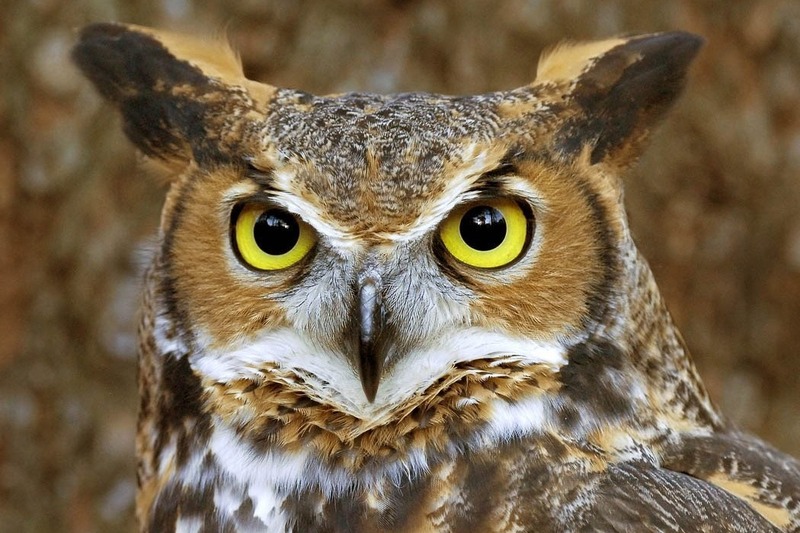 In preparation for the full scale model, I will be visiting the Vermont Institute of Natural Science (VINS) in Woodstock to see if I can study the great horned owl up close! 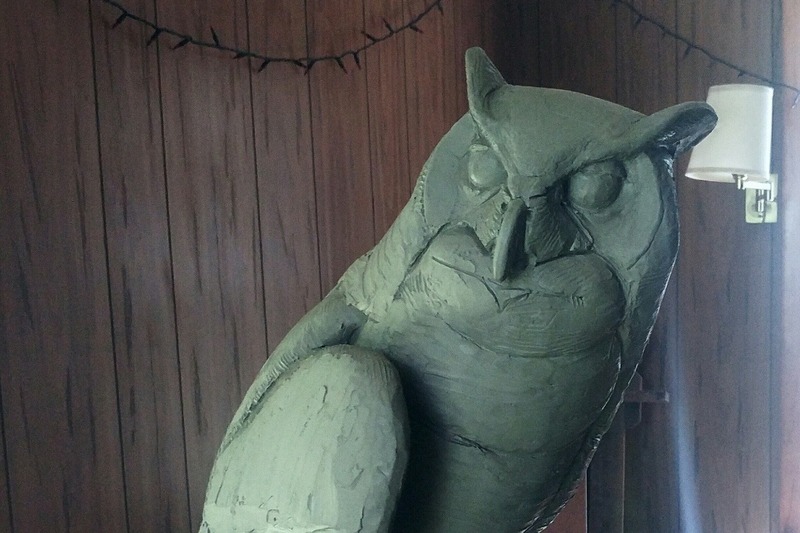 In the event that there are no great horned owls there to see, the next stop will be the Birds Museum of Vermont in Huntington, where there is a large collection of highly detailed wood carvings of birds native to Vermont. Parallel to this model making phase, I will be pulling out the stone fragment, cleaning it up, and cutting the bottom joint so it sits plum when it stands on the foundation. There is a lot of work ahead, and still a long way to go before we reach our goal, but I am confident we can raise the money needed to complete this project and stay on track! Thank you so much for contributing, and be sure to check back here periodically for updates! Wow! I am overwhelmed by the support we have received so far for this project! Thanks so much to everyone who has donated so far! Tonight I will show the scale model I have been working on at the Montpelier High School art show and I can't wait to tell more people about the project! The Times Argus provided great support yesterday with a front page article detailing the project! We're off to a great start!! !